He's been called the father of golf speed training. Look at your scorecard. Let’s say the first hole is a 400-yard par 4. You’re on the first tee…After this drive, what club do you want to hold in your hands for the next shot? That’s what this is about. This is what improvement is. My job is to find what works for you, then to connect that to what works with the golf club and the golf ball. The basic principle hasn’t changed from Day One in this sport—courses are long and demanding, so generating long ball flights is essential. Either that, or the length of golf holes will continue to stymie improvement in scoring. The golf course is like a big animal out there; you have to learn to control, take large bites out of it—propelling your golf ball big chunks of yardage. If you can’t, the length of the course will continue to beat you down. Serious improvement isn’t magic, you know. If you want to go low, get started by going long. A speed guy since the age of 12 when he realized that slow kids are not going to get serious coaching in Texas football, Jackson designed his own speed-training program (even before there was such thing as interval training), trained and then at 15 showed up for high school football two-a-days and no one could outrun him. Jackson applied speed training to other sports, first as a good high-school football running back, and track and field athlete, then into the college level. He played golf, too, but golf didn’t become paramount until later. Always highly interested in human learning, he went on to earn BS and MA degrees. The route to professional golf followed detours as a high-school classroom teacher, assistant football coach and head track coach, working under renowned football coaches O. A. “Bum” Phillips, and Buddy Ryan, who both went on to NFL fame. He spent six years as a head football coach and athletic director at two Texas high schools. All the while he was a good amateur golfer. Golf finally won. Initially, teaching golf was a sideline to playing professionally, but helping athletes perform closer to potential is a habit that’s hard to break. He’s taught private lessons, clinics and golf schools all over the U. S., Canada, and in Europe. He taught many certification programs for aspiring professionals, and has helped many to outstanding teaching careers, including the late, great Julius Richardson, top 100 instructor, and member of the Black Golfers Hall of Fame. He is a former vice president of the United States Golf Teachers Federation, earning Master Teacher certification, and is one of the first teaching professionals to be given staff member status with Callaway Golf. He is a former director of Florida Golf Schools, and later served as club professional and head teaching professional at Stonington Country Club, Stonington CT, from its opening in 1993 until 2005. He has proven over time with thousands of athletes performing hundreds of sport-specific skills that speed can be learned and improved, and that overall athletic performance improves too. 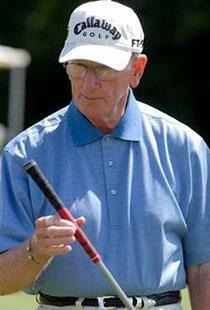 In 2006 Jackson opened his FastFirst Golf performance center in Ashaway, RI. His players have learned that his concepts of lowering golf scores by improving clubhead speed and ball command were spot on. As he points out, today golf is a power game, and every player can add significant clubhead speed, length, ball command and lower his or her golf scores. The culmination of his long study and research is his Training On The EDGE program—FastFirst Golf. Jackson has coached professional tour players who have gone on to win PGA Tour and Champions Tour events shortly after training in FastFirst. He has worked with professional long drive champions, including world record holder, Scott Smith (539 yards in LDA competition), and three-time world champion, Sean “the Beast” Fister. He has developed many club champions, state champions. Canadian Tour players come to him, as do others from professional tours. His research in human performance is well documented, and he has collaborated with many who have left their own marks in golf. Jackson has never written an instructional book, but has had two golf books dedicated to him. His FastFirst concepts have become recognized both nationwide and worldwide. Players have come to his facility from virtually every state, Canada, South America, South Korea, and Europe. Dean Simmons, our longtime friend and colleague for his continued help, particularly in designing and producing our training clubs. John Rhodes of Fort Worth, TX, a true friend who has coached more tour players than I can count. The late Mike Austin, whose legend continues to grow. We had many great conversations, and I miss them.